We ran to an area north of town in 35 fathoms today where the halibut have been on the chew lately. The current changed since yesterday and they did not bite at first. We waited them out and we prevailed. 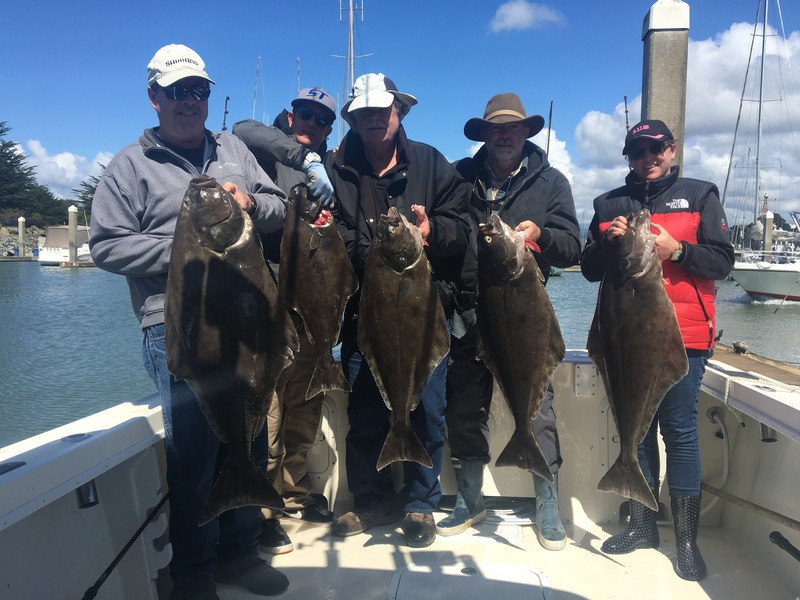 We had 5 pacific halibut for the 5 anglers and could not close the deal on one for the captain today. We had 2 other bites and 2 other first that came unbuttoned after hookup also so we had the bites. The fish were not the bigger grade we had last week but limits of halibut is always welcome. Todays fish were up to 24 lbs and bit steady through the day. We had a couple one hundred lbs class skates to contend with also so we were busy. Salmon opens in the morning till the end of the month and then halibut will reopen July 1st. I have room for both if you want to get out just give ma a call with some dates in mind and we will go find some biters!